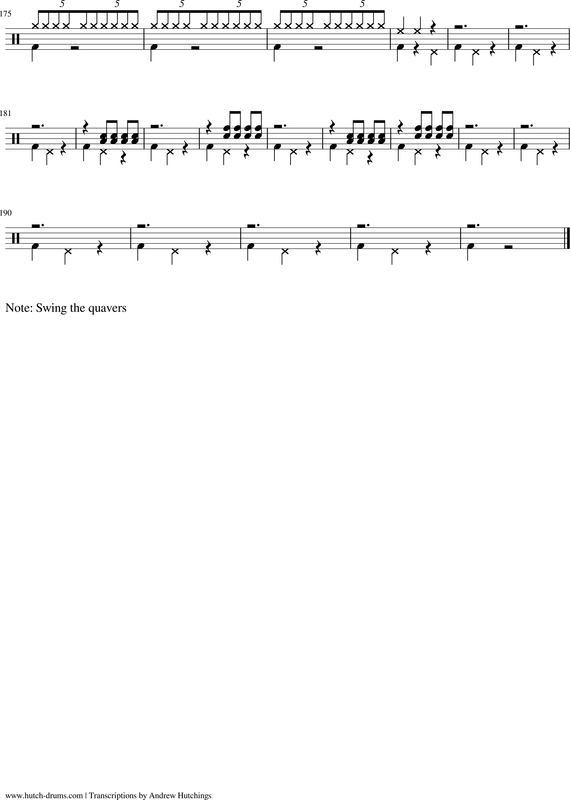 Transcription ~ Max Roach’s classic 3/4 solo. 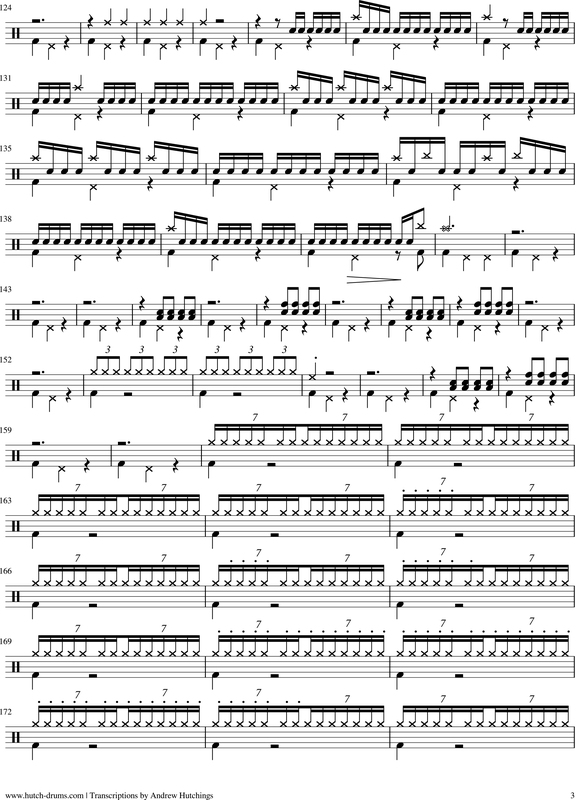 Here’s a transcription of Max Roach’s opening solo track from his 1965 Drums Unlimited album. Played in 3/4 over a consistent foot ostinato, there are no repeats. Max plays a repeated motif but it also varies. The one bar foot pattern consists of the bass drum on ‘1’, the high hat on ‘2’ and a rest on ‘3’. It remains virtually unchanged throughout. Get comfortable playing basic rolls and sticking patterns around the kit with the foot ostinato. 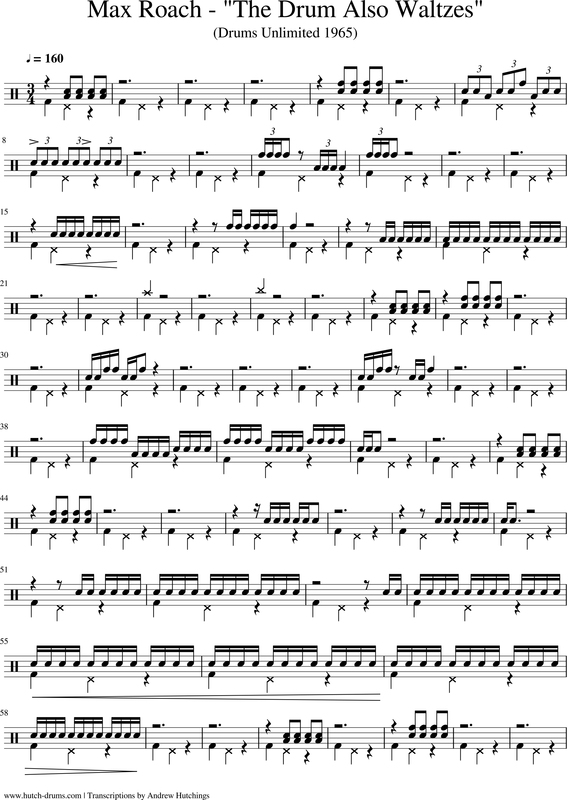 Max plays it fairly freely with some sections a little ambiguous and bit of a challenge to transcribe. I think septuplets and quintuplets from bars 160 are a fair interpretation. I’m open to any other suggestions or fixes. And of course, swing the eighth notes. Hi Andrew. 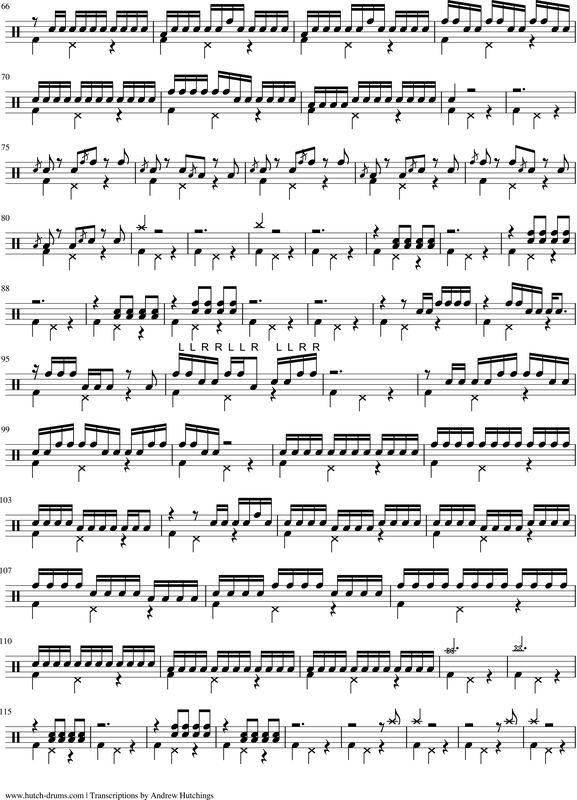 Thanks so much for posting the PDF of The Drum Also Waltzes, which marks an important development in the history of drumming, where solo work went from simply rudiment-based bashing and speed demos to far more musical areas. Thx for this, Man. Awesome. I did a youtube vid of Blues for Big Sid (Mop Mop) – a beast. Waltzes is next on my list. Your site looks like a great resource. Will dive in more.